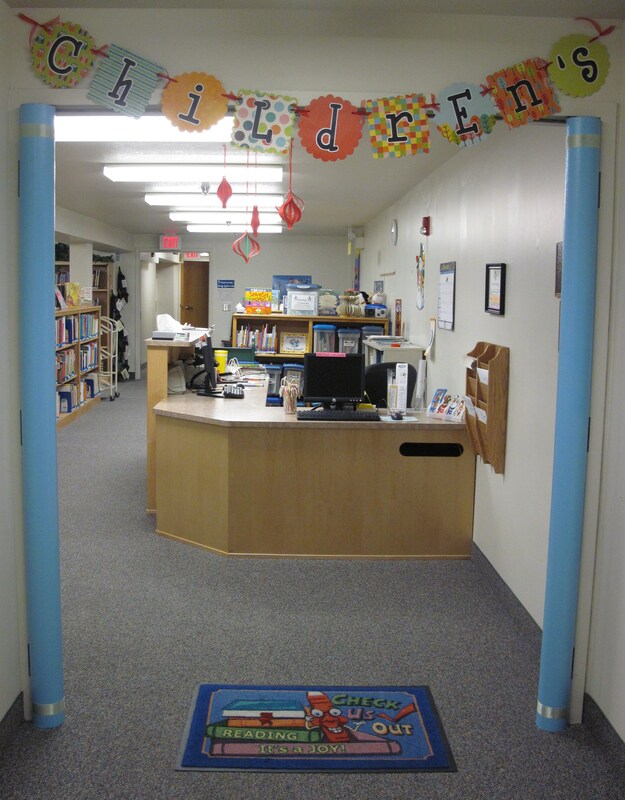 I thought I’d share with you all the mini-makeover we gave the entrance to the children’s library. 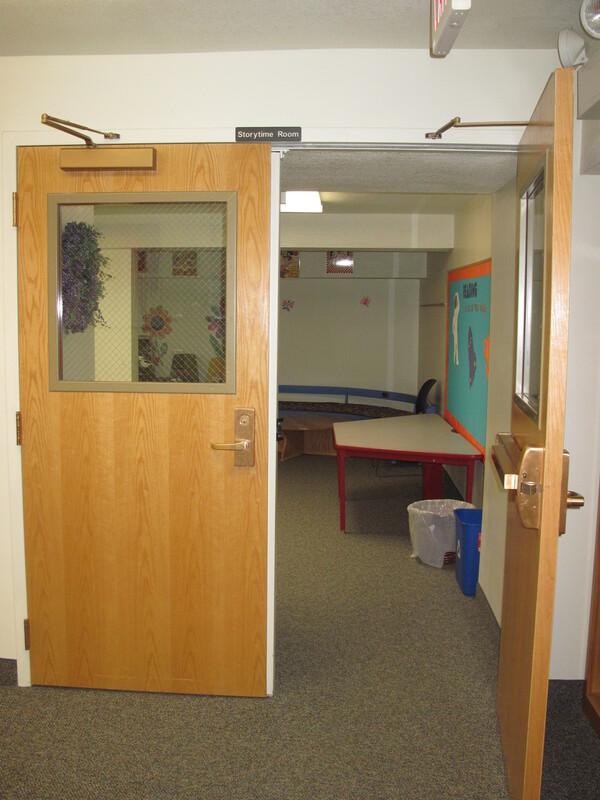 Our children’s room is in the basement and sometimes it can seem like a maze of doors trying to find it. I often see people walking around, looking lost. Plus, all of the walls are painted white, white, and more white. Something had to be done. Old entrance: Only one door open…no signs…soo not stroller friendly. 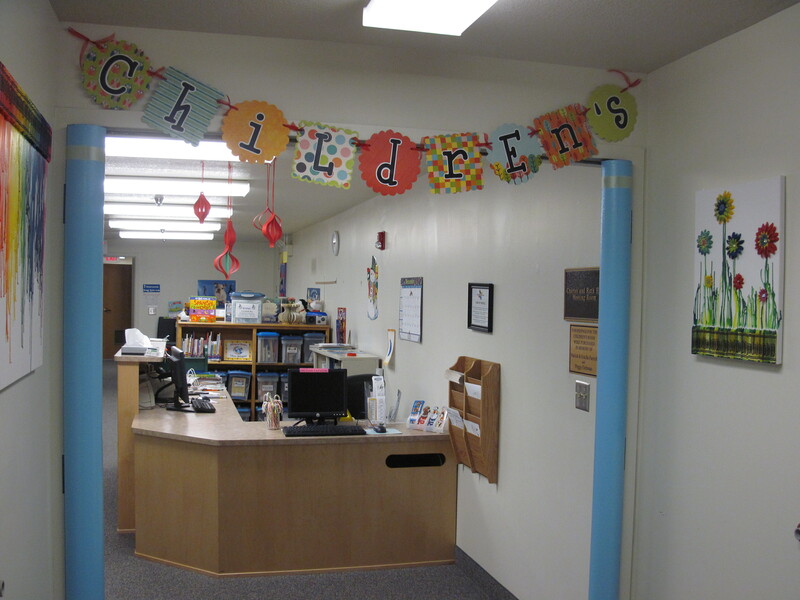 We took the doors down and made a fun “Children’s” sign using scrapbook paper. The blue posts are cardboard carpet tubes (free from our local carpet store.) I spray painted them with a coat of primer and two coats of color. They cover up the hinges nicely, while adding some much needed color. 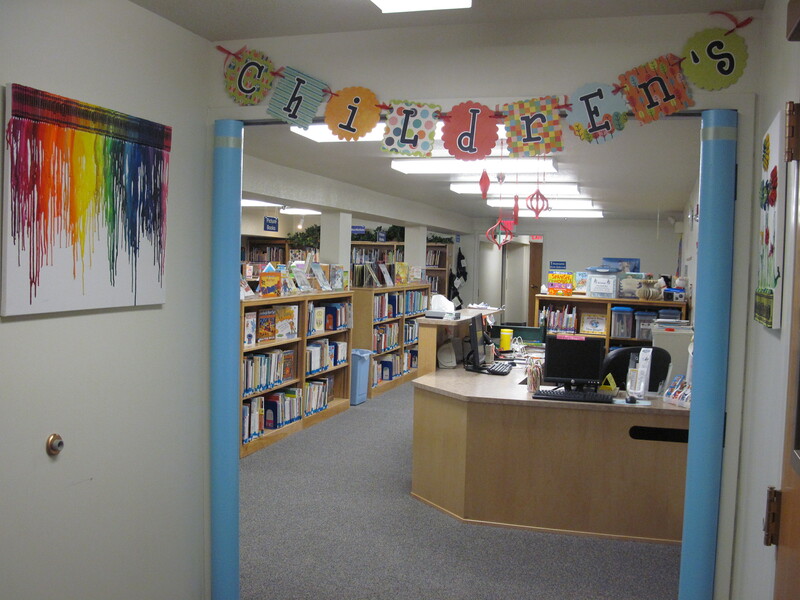 You definitely can’t miss the Children’s Library now! And it’s stroller-friendly. Success! I always swore I’d never work in a basement, but I’d reconsider for this! Lovely! I love your awesome creativity! You made the children’s room so inviting. Love it! Thanks Diane! So good to hear from you 🙂 I’m definitely enjoying the new job (it’s ALOT of work), but we’re making many positive changes and having fun in the process! Our children’s library is in the basement too, but it’s a steep flight of stairs to get there so we don’t promote bringing the strollers in. This looks great! Thanks Alison! We are located right in town and many people walk to the library and bring their children in strollers. We are very lucky to have an elevator!